Thanks Val for the photo!! For the second part of my 30th birthday celebrations I went to the Body and Soul festival in West Meath over the weekend. There was loads of hassle in the week leading up to it with lack of lifts, selling my Friday add on ticket, and John's ticket being stolen two days before we were due to go. Eventually we got everything sorted, got lifts from lovely people, and magically got the stolen ticket back! 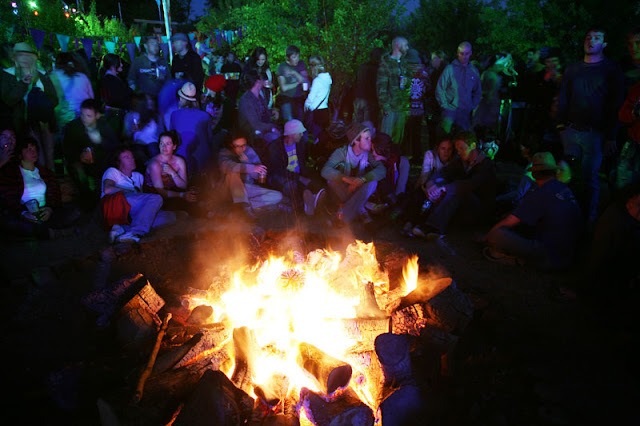 Body and Soul is a much smaller festival than Electric Picnic or Oxygen, it only has about 5000 tickets and is set in a forest beside a lake at Ballinlough Castle. 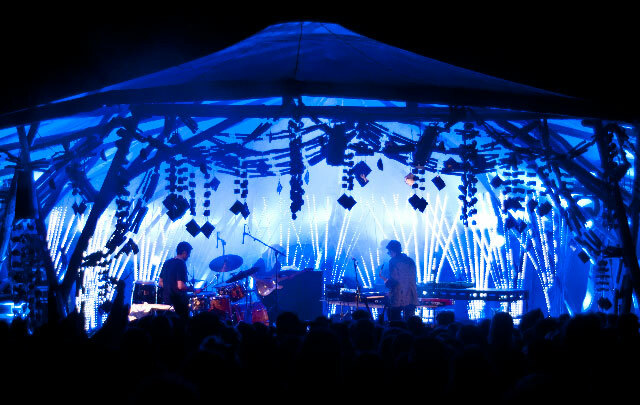 Most of the features are handmade from wood from the forest, including the main stage. It has a very hippy-ish relaxed atmosphere, with a wide group of people from all ages, from 2 to 70 years of age. As much as I loved Electric Picnic the smallness of this festival really appealed to me as I felt the Picnic was getting too big and brash. 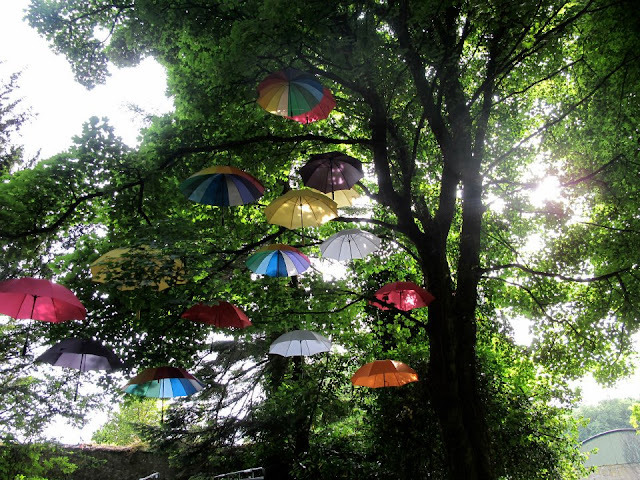 The forest is probably the nicest part of the festival, it gains it's own personality during the night when it is lit with beautiful coloured lights. The different areas of the festival are built around this space, with outside areas feeling like hobbit homes, filled with magical pieces of art. On the Saturday night the is a festival wide masquerade ball, as you can see form above I made a pink ad black felt mask. I didn't put the usual amount of effort into my costume as I normally do as because I was really busy with the party, but I'm glad I did something. I got the sequinned top at the barbootsale a couple of weeks before for only €6, and I wore it with my black tutu. John insisted that I bring the flamingo head from my Queen of Hearts costume because it matched so well, I lost it after about 2 hours! There was very heavy rainfall in the week before which meant that the grounds were really muddy. It made the festival quite tough going, even getting to the bathroom was quite a chore from our tent. It felt like I had thighs of steel after all that wading through shin deep mud, funnily enough though it was easier to navigate after a few beers. But luckily enough the festival Gods shined down on us on Sunday and showered us with the most glorious sun all day. I will definitely go again next year, but I would much prefer to go on Friday to get rid of the chores of the tent set up etc, as the weekend felt very fast. Musical highlights were Who Made Who, Django Django, and Villagers. great post dear:)) come by and lets fllw each other if you love to do!